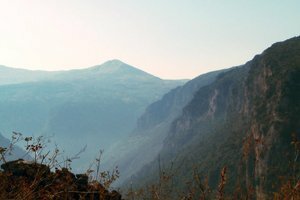 Tramontane tells the story of Rabih, a young blind man, who lives in a small village in Lebanon. He sings in a choir and edits Braille documents for an income. His life unravels when he tries to apply for a passport and discovers that his identification card, which he has carried his entire life, is a forgery. Traveling across rural Lebanon in search of a record of his own birth, he meets people on the far fringes of society who tell their own stories, open further questions and give Rabih minor clues about his true identity. Descending into a void at the heart of his existence, Rabih encounters a nation incapable of telling his or its own narrative. Beirut Hold'Em is about Ziko a 40-year old ex-con who upon his release from prison, wants to restart his life. He’s determined to win back Carole - the love of his life - and open up a gambling joint, locally known as an “Amusement Center.” He reunites with his boyhood friends who share his passion for gambling and runs into his dead brother’s friend. Ziko learns that his sibling perished on an illegal motorbike race, and decides to save his brother’s friend from the same deadly fate. Driven by a relentless will to succeed, Ziko sets out on a journey through contemporary post-war Lebanese society, a place made of a strange mixture of violence, tenderness, lightness of being and tension.